According to Camilonwe of Alinor, the Sapiarch of Transliminal Arts in the Crystal Tower, an artifact that could physically bind disparate planes together would have to be fabricated so as to exist simultaneously in multiple locations. 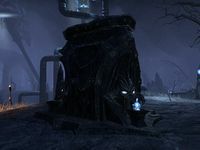 The Great Shackle is a Daedric ruin in eastern Coldharbour. 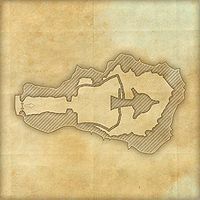 The Great Shackle Objective: Destroy the Great Shackle and end the Planemeld. 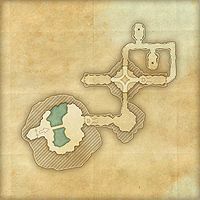 The Great Shackle Wayshrine is located at the Black Forge end of the bridge outside the compound.